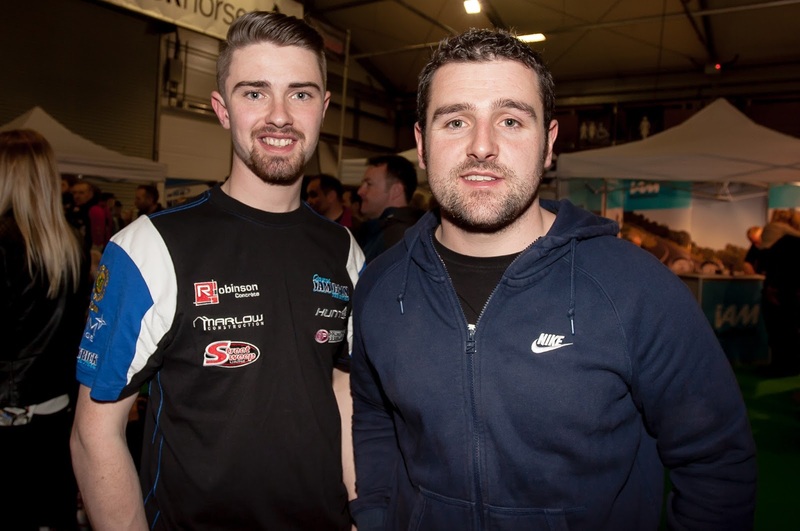 Update on Carl Phillips’ season as he tackles the British Superstock 1000 championship, as well as some home meetings on the Michael Dunlop sponsored GSXR1000. Wonderful opportunity for anyone wishing to sponsor Carl as the exposure British Superbikes far surpasses anything Ireland can offer. 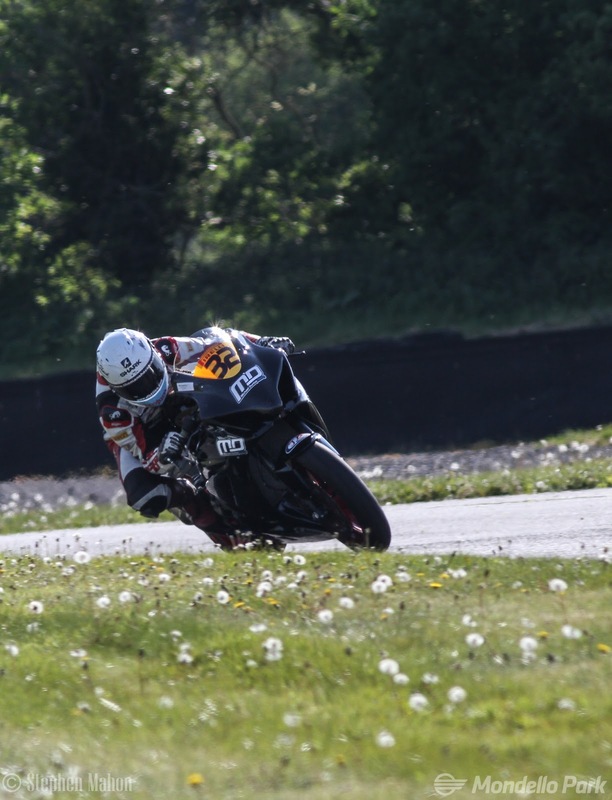 This season so far has been a learning curve for me, jumping on the big bike with so little time on track beforehand was such a change after spending the last few years riding a 600. However we are now three rounds in and I’m really happy with progress we are making. Michael and I had got chatting at various rounds throughout 2016 and he offered to help me out when he knew this year wasn’t looking too promising for me. He has provided me with the bike, I then fund the running of it with the financial support of my sponsors. 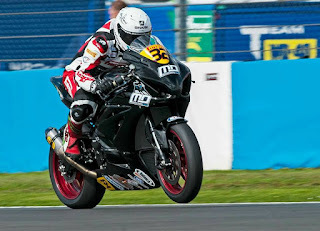 I aimed at using the first round at Donington Park as a starting block to get a feel for the bike and get the set up right. I was quite surprised to get two top 15 finishes that weekend (9th & 12th) and have a few points in the bag. 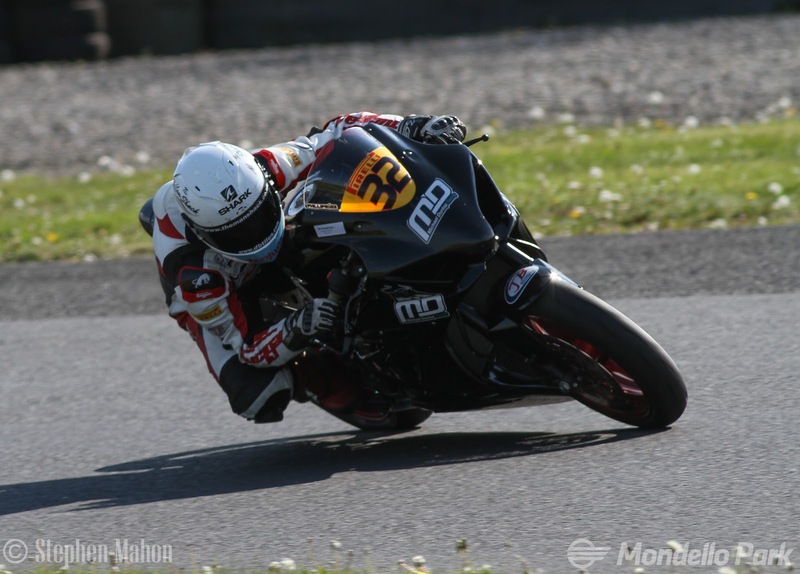 I felt really comfortable on the bike which gave me the confidence boost I needed. At Brands Hatch for Round 2 I wasn’t overly happy with my qualifying and knowing that everyone was on a fast pace I just got stuck in for race 1 on the Sunday, however it was red flagged on lap 28 with a result called placing me 14th. The focus for Mondays race again was to get the head down and aim to get a few more points, I ended up finishing in P12. Oulton Park hosted Round 3; starting out strong in free practice we had a tyre issue. 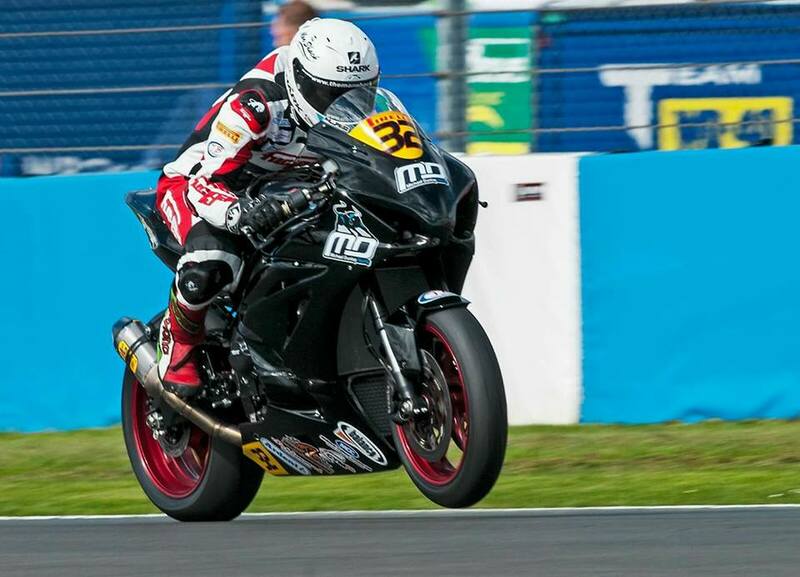 Qualifying meant I was way down the grid in 26th for race day which was very frustrating for me. I got a strong start for the race and made my way up to 11th before the red flag came out due to rain. In the restart we took a gamble with the tyres and stuck with the dry set which turned out not to be the right choice and I had a slide off on the warm up lap. There was a long 6 week break until the next BSB round, so I opted to sit out the WSBK round due to our limited budget for the year. 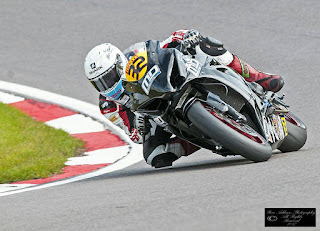 Instead I brought the bike home and decided to compete in a few local events for some extra track time. 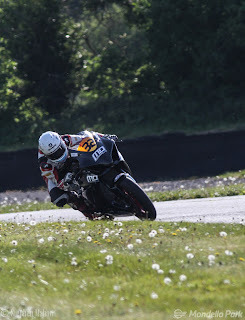 First up was the Irish Superbike round at Mondello Park where I picked up 3 race wins, we then headed to Bishopscourt for a race meeting run by the Temple Club another win in race 1 and with a change in weather mid-afternoon I decided to sit out race 2. My plan for the rest of the season is too keep progressing, ideally more top ten finishes but my eyes will be on the podium and who knows it may happen before the end of the season. The only thing that may hinder that is our lack of budget, as I said before while Michael has provided me with the bike I have to find the financial backing to run it with costs such as tyres, fuel, entries etc. | have a small group of sponsors who help out in various ways and to whom am very grateful however am in desperate need of a main sponsor, I still have various advertising opportunities for anyone who would be interested in coming on board. I’m one of those quiet riders and maybe that doesn't always play in my favour especially when it comes to putting myself out there to get sponsors but am there to race because I have a huge passion and respect for the sport that I have grew up with.